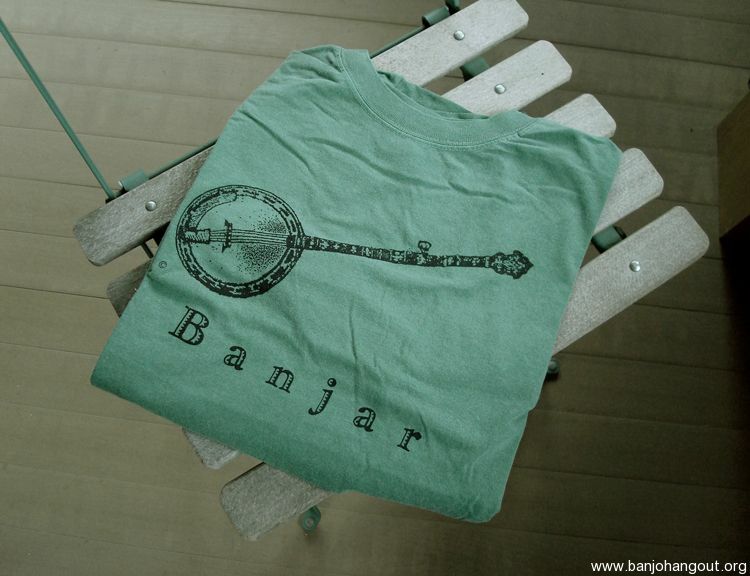 --> Order NOW so you'll be ready for the summer festivals and jams! 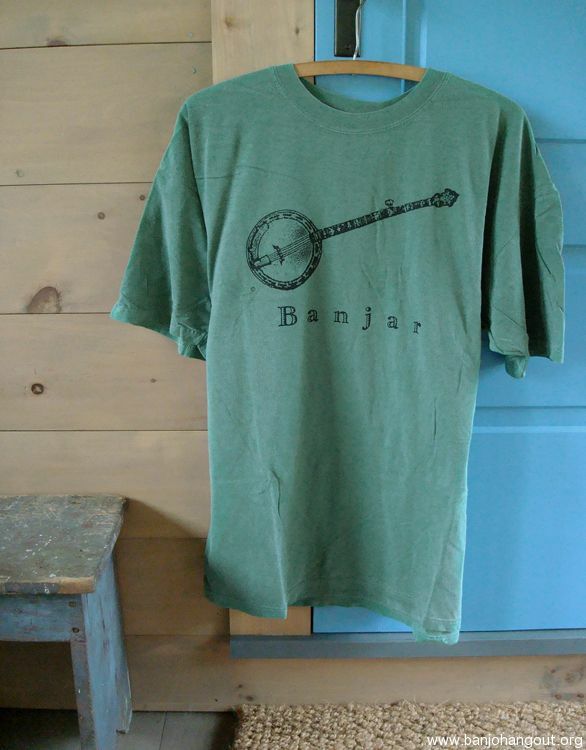 Vintage style banjo graphic on a sage green or burgundy plum colored shirt. 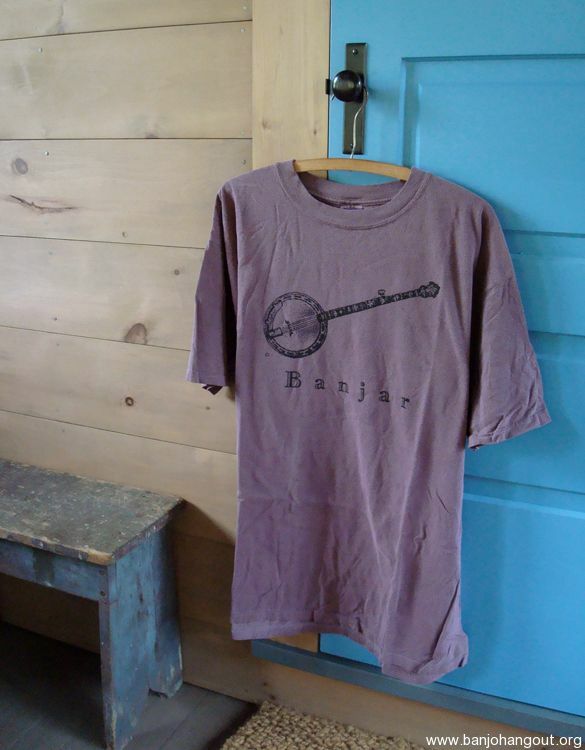 According to Thomas Jefferson's writings, the instrument that later evolved into what we know today as the banjo, was called "banjar" by the African slave musicians who constructed and played it in 1700s America. 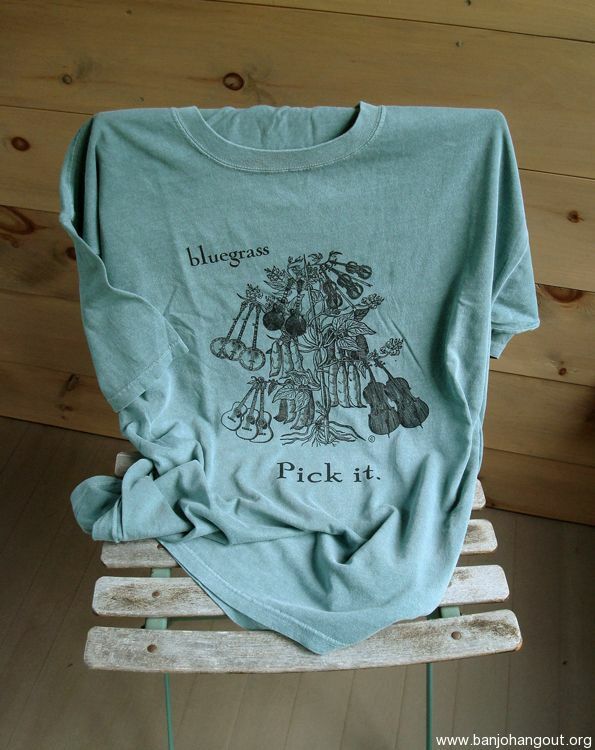 Our original design, in super soft stone-washed, pigment dyed 100% cotton, printed in USA. In men's sizes (ladies may want a size down). 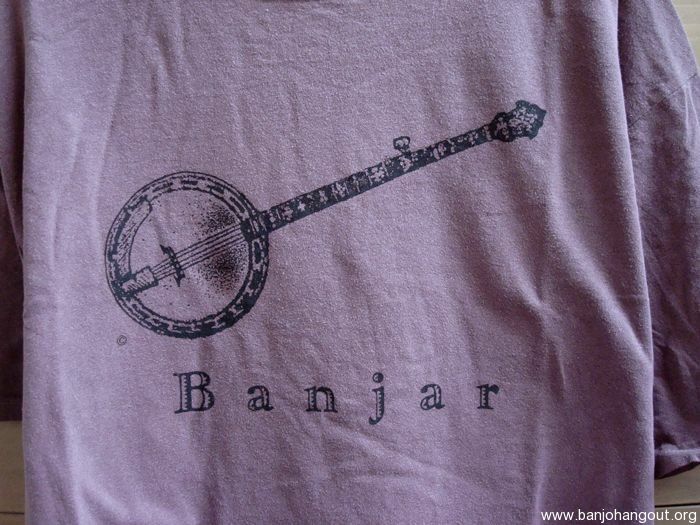 Banjars make everyone happy! $7 for either 1 or 2 shirts. (FREE shipping for orders of $50+) -SHIPS TO US MAINLAND ONLY. Returns accepted. Buyer must contact seller within 3 days to arrange return. Refund will be given as Money Back or Exchange. Buyer pays return shipping. Additional return policy details: Size exchange or refund within 5 days of receiving your order. Shirts with signs of wear cannot be returned. Please contact us FIRST to have your return approved. Customer is responsible for return shipping cost. This ad will automatically expire 5/10/2019 7:40:23 AM unless updated before that date. To keep the system current, ads expire if not updated for more than 60 days.